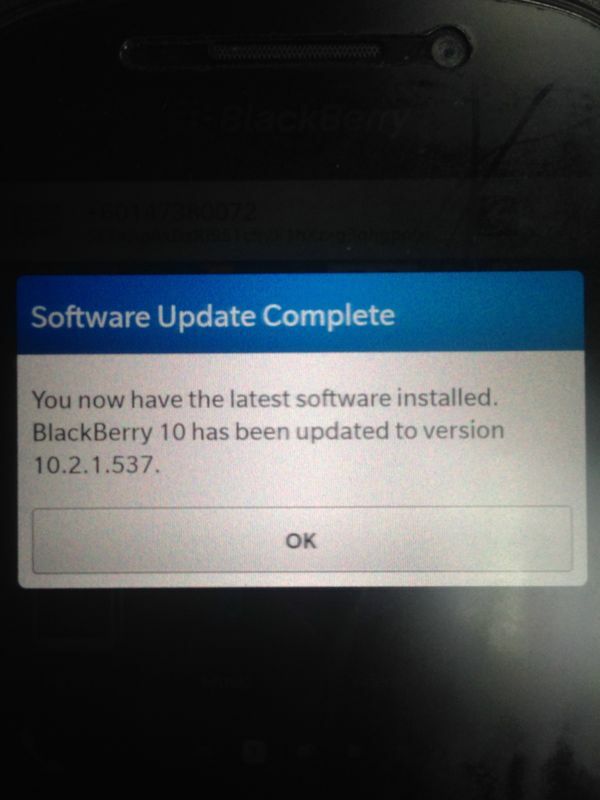 It looks like the rollout for BlackBerry 10.2.1 is underway for handsets in the APAC region as expected. If you’re one of those eagerly anticipating the point update that is actually much more, you should see it anytime now. 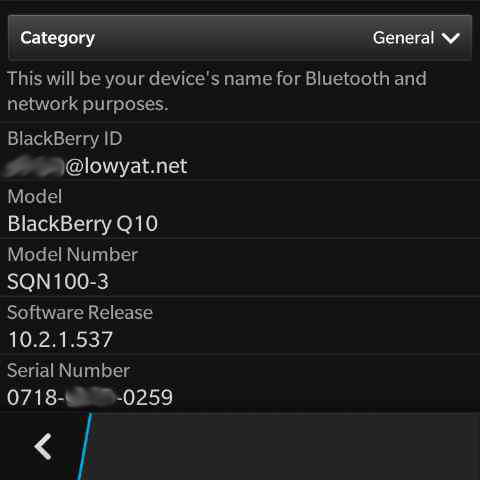 BlackBerry 10.2.1 brings multiple changes to the OS, making existing BlackBerry10 fans even happier with their devices. The addition of several intuitive solutions to make using the device a lot easier makes the 10.2.1 update a very welcome one. On top of that a very important change in that now android APKs can be installed directly without the need for a wrapper, making Android apps easier accessible on BB10! We’ve include the list of changes after the jump. Stay tuned for a deeper look into all the changes in BlackBerry 10.2.1! Customize Pinch Gesture to Filter BlackBerry® Hub – BlackBerry Hub lets you access all your messages and notifications in one place. A new feature lets you instantly filter the message list in the Hub. You can customize the Hub to show only Unread Messages, Flagged Messages, Draft Messages, Meeting Invites, Sent Messages or Level 1 Alerts. Once the filter criterion is set, you can simply activate it with a pinch gesture on the Hub’s message list. Simplified Phone Experience – The phone includes a new incoming call screen that lets you swipe to the left to answer or swipe right to ignore a call. New intuitive icons allow you to instantly silence the call, or send a Reply Now response through BBM™, SMS or email that you can’t answer the phone right away. You can choose from a list of standard automated responses or respond with a personalized note. SMS and Email Groups – You can now create SMS and email groups for more efficient broadcast communications. Actionable Lock Screen Notifications – You can now “Tap to open” a message that appears on the lock screen, letting you respond to an important message much quicker or to check messages more discreetly. Picture Password for Quick Unlocking – You can quickly unlock your phone using a combination of a picture and a number (0-9) of your choice, which you place at a particular point on the image. When you try to unlock the phone, the picture will appear along with a grid of random numbers. To unlock, simply drag the grid so the number you selected overlays the particular point on the image. Customizable Quick Settings Menu – You can now customize what appears on the Settings menu, which includes features such as being able to quickly change the Brightness of the smartphone’s display, toggle various network connections, and access the built-in flashlight. The Settings menu also includes a toggle that lets you instantly switch between your Personal and Work perimeter. Offline Browser Reading Mode – You can now save the current web page you’re on for later viewing, even if you are offline or without an Internet connection. Preferred Contact Sync – You can now choose the sync source for your Contacts ensuring you always have the most up-to-date contact details. When adding a new contact you can designate which sources you want the contact info to sync with, such as the corporate address book, Gmail, Hotmail, etc. Device and Battery Monitor – A new and improved device monitor provides you with essential details on battery usage, the impact of installed apps on battery life and memory usage and storage, as well as CPU stats. Automatic Software Updates – OS updates can be set to happen automatically over a Wi-Fi® connection to help ensure you’re always benefiting from the latest and best possible customer experience. Enterprise Features – When combined with BES10 version 10.2, enterprise customers will gain additional security features and IT policies for when more granular controls are required, such as for regulated industries and for organizations that work with sensitive data. For more information about BES10, please visit www.bes10.com. FM Radio – If you have a BlackBerry® Z30, BlackBerry® Q10 or BlackBerry® Q5 smartphone, the new software update unlocks the built-in FM radio in those handsets. You can listen to local FM stations, which does not require any network connection.